In 2010, over 2,800 Seventh-day Adventists worshipped in the greater Milwaukee area. Known for keeping the Saturday Sabbath, the Adventist faithful meet in thirteen minister-led churches and lay companies in the metropolitan area. 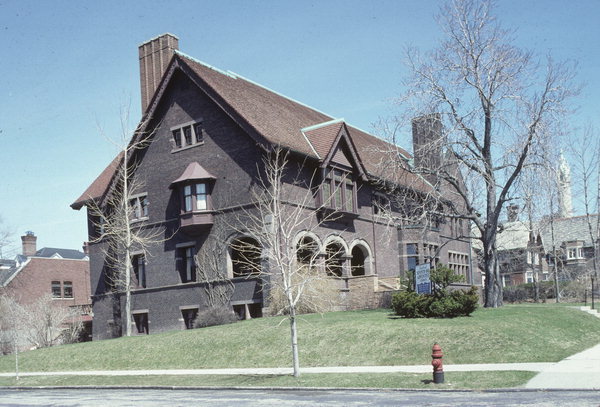 Among these congregations, Central Seventh-day Adventist, in Milwaukee’s North Point neighborhood, is notable for its location in an Alexander Eschweiler-designed mansion. Milwaukee Seventh-day Adventist School, on the city’s North Side, offers a K-10 education. There is no denominational high school in Milwaukee, but the church’s boarding school, Wisconsin Academy, in central Wisconsin accepts high school students from Milwaukee, including Milwaukee Parental Choice Program voucher students. The Wisconsin Conference of Seventh-day Adventists, headquartered in Fall River, includes over 7,600 members statewide. From its early days, the Seventh-day Adventist Church in Wisconsin has been centered in rural areas. While early missionaries travelled through Milwaukee, they established the state’s first congregations in central and southern Wisconsin’s small communities in the 1850s. In 1861, two years before the denomination was formally organized, the first Norwegian Seventh-day Adventist church was founded west of Milwaukee in a Jefferson County immigrant community. Members of this congregation returned to Scandinavia among the church’s first missionaries to Denmark and Norway. According to a 2014 study by the Pew Research Center, Seventh-day Adventists form the most racially diverse religious body in the United States. The first Milwaukee congregation was formed in the 1880s and soon offered services in both German and English. In the twenty-first century, Milwaukee’s Seventh-day Adventist congregations serve both the English- and Spanish-speaking communities, and a spiritual community also exists for the city’s Hmong population. ^ Association of Statisticians of American Religious Bodies, “Metro-Area Membership Report: Milwaukee-Waukesha-West Allis, WI, Metropolitan Statistical Area” (Association of Religion Data Archives, 2010), accessed August 4, 2016. ^ “Find a Church,” Wisconsin Conference of Seventh-day Adventists, accessed August 4, 2016; Seventh-day Adventist Church Manual, 19th ed. (Nampa, ID: Secretariat General Conference of Seventh-day Adventist, 2015), 36, 38, accessed August 12, 2016. ^ “2014 List of Buildings,” Doors Open Milwaukee, http://doorsopenmilwaukee.org/buildings/, captured by Internet Archive, September 9, 2014, accessed August 4, 2016, https://web.archive.org/web/20140909005721/http://doorsopenmilwaukee.org/buildings/; “High Quality in Old House,” Milwaukee Journal, June 22, 1941, https://news.google.com/newspapers?id=v6BQAAAAIBAJ&sjid=wSIEAAAAIBAJ&pg=1483%2C2511941. ^ “Find a School,” Wisconsin Conference of Seventh-day Adventists, accessed August 4, 2016. ^ Alan J. Borsuk, “Quality Doesn’t Follow Rise in Voucher Schools,” Milwaukee Journal Sentinel, November 19, 2011; “Schools Indicating an Intent to Participate in the Milwaukee Parental Choice Program (MPCP)—2016-17 School,” Wisconsin Department of Public Instruction, last modified February 1, 2016, accessed August 12, 2016. ^ “Contact Us,” Wisconsin Conference of Seventh-day Adventists, accessed August 8, 2016; Seventh-day Adventist Church Office of Archives, Statistics, and Research, “2016 Annual Statistical Report: 152nd Report of the General Conference of Seventh-day Adventists for 2014 and 2015” (Silver Spring, MD: General Conference of Seventh-day Adventists, 2016), 19, last accessed June 5, 2017. ^ Adriel D. Chilson, Trial and Triumph on a Western Frontier: Thrilling Stories of Adventist Pioneering (Elko, NV: Heritage Publications, 1976), 117. ^ Chilson, Trial and Triumph on a Western Frontier, 10, 12-13; “Our History,” Wisconsin Conference of Seventh-day Adventists, accessed August 2, 2016. ^ Arthur Whitefield Spalding, Captains of the Host: First Volume of a History of Seventh-Day Adventists Covering the Years 1845-1900 (Washington: Review and Herald Publishing Association, 1949), 207; Chilson, Trial and Triumph on a Western Frontier, 55-56. ^ Michael Lipka, “The Most and Least Racially Diverse U.S. Religious Groups,” Fact Tank: News in the Numbers, July 27, 2015. ^ James M. Johnston, “Creeds of the Few: Adventists Veteran Abstainers,” Milwaukee Sentinel, March 9, 1965, https://news.google.com/newspapers?id=OXlQAAAAIBAJ&sjid=cBEEAAAAIBAJ&pg=7295%2C1204492; Chilson, Trial and Triumph on a Western Frontier, 117; Howard Louis Conrad, ed. History of Milwaukee County from Its First Settlement to the Year 1895 (Chicago: American Biographical Publishing Co., [1895? ]), 2: 249-50. Chilson, Adriel D. Trial and Triumph on a Western Frontier: Thrilling Stories of Adventist Pioneering. Elko, NV: Heritage Publications, 1976. Conrad, Howard Louis, ed. History of Milwaukee County from Its First Settlement to the Year 1895. Vol. 2. Chicago: American Biographical Publishing Co., [1895?]. Snorrason, Bjorgvin Martin Hjelvik. “The Origin, Development, and History of the Norwegian Seventh-day Adventist Church from the 1840s to 1887.” PhD diss., Andrews University Seventh-day Adventist Theological Seminary, 2010.